Drop your phone, keys and gels into your Roosport and forget you have it. I don't like to carry stuff when I am out and about, especially on a run. I take as little as possible and I want to forget it's there. That feeling of “Oh no, I lost my phone … oh wait, I'm wearing it!” is significant in determining whether I'll be won over. 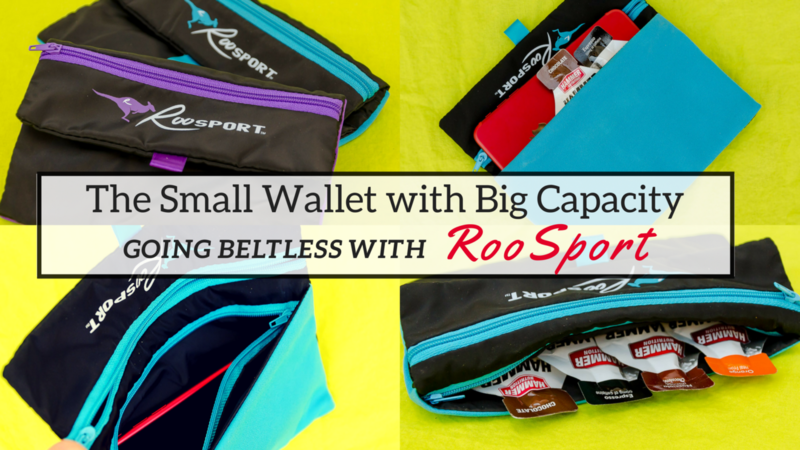 These delightful little RooSport pouches are small, lightweight and cleverly designed. Barely visible and extremely comfortable, they solve an array of problems in one neat little package. RooSport won me over. I bought two. That is already hinting at where this review is going. You couldn't pay me to carry my phone on my arm, so that left me with running belts as my only option. I found one that I like, but imaging something that isn't an armband and isn't a belt. The first time I heard of RooSport was at a race Expo in Celebration, FL at the beginning of the year. I met Brenda and her husband and was drawn in by their warm and friendly aura. 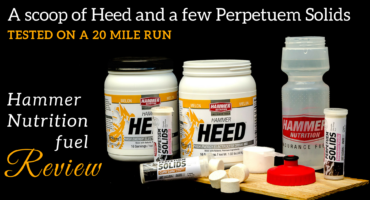 I had never seen a product like this and took a business card, lest I should forget during the course of the 26.2 miles I was going to run the next day. This nifty little pouch, available in more than one size, intrigued me. Multiple pockets, no buckles or clips … and it's not a belt! 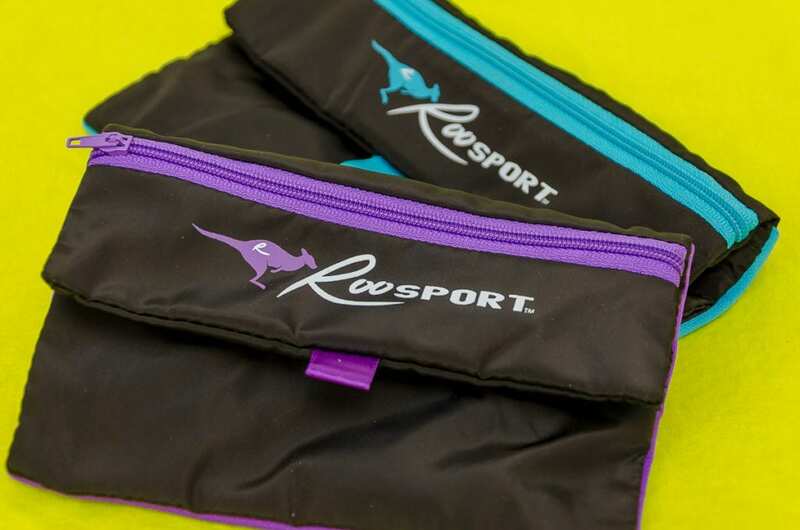 I purchased the classic original Roo 2.0, which is the slightly smaller one in the picture above with purple trim. I have one of the large plus size phones so I also bought the RooSport Plus. Having both sizes has proven really convenient and I'll go into how I've used them in a little while. You can see the difference in size between the Roosport Plus with my iPhone 7 Plus on the left and the original RooSport 2.0 with an old iPhone 5S on the right. There is plenty of wiggle room, but not so much that your phone will slide around. You can also connect a headphone jack to your device without worrying about it getting squished to fit in the compartment. 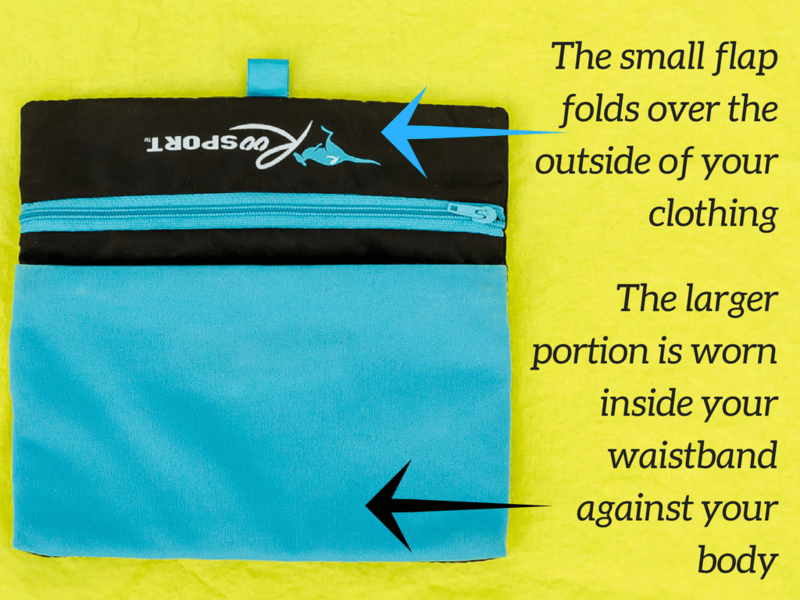 The Roosport has three storage compartments. The small outer section will easily hold a key or small set of keys, some chews, a Chapstick and little items. 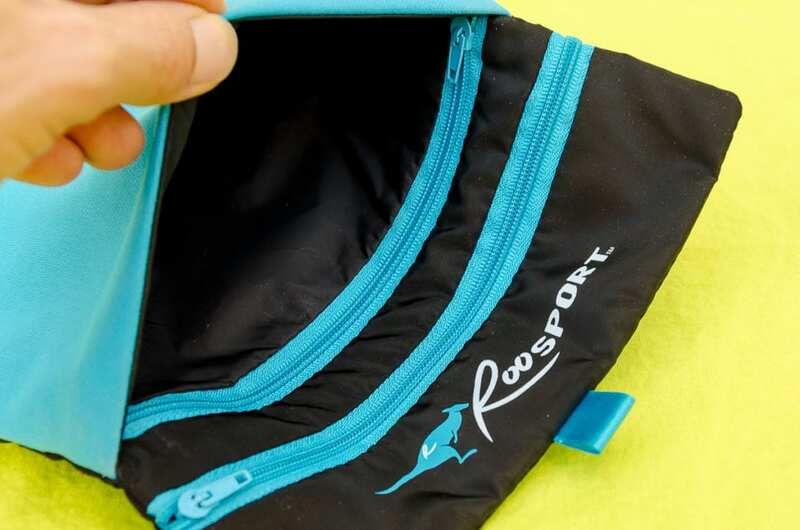 The main part of the Roosport has two sections, one of which has a zipper and is where I like to keep my phone. 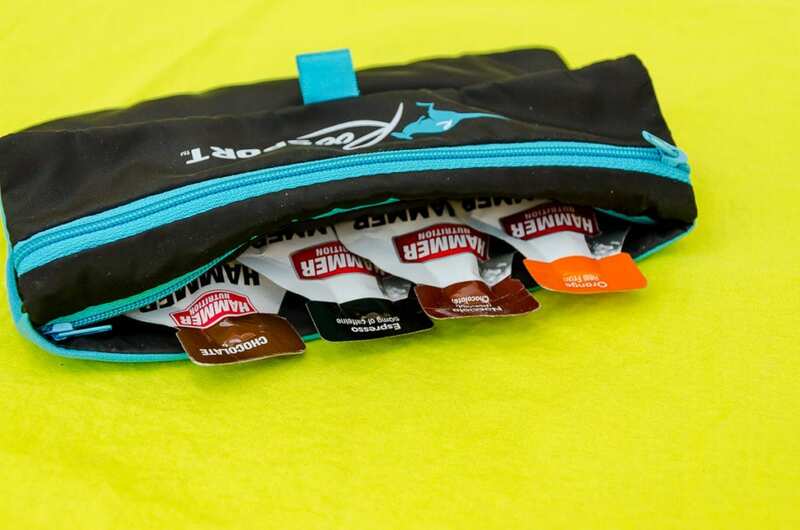 The adjacent storage area against your body is perfect for gels, chews or any other little essentials you want to keep handy. The large, zippered storage section also has a very discreet little opening to thread your earbud cable if you like to run with music. The zippers glide effortlessly and quietly along the track with no sticking or rattling going on while you're moving. My larger sized pouch will easily hold a my iPhone 7 Plus, six energy gels, a few chews and my keys. I don't carry that many gels on me, but the capacity is there. 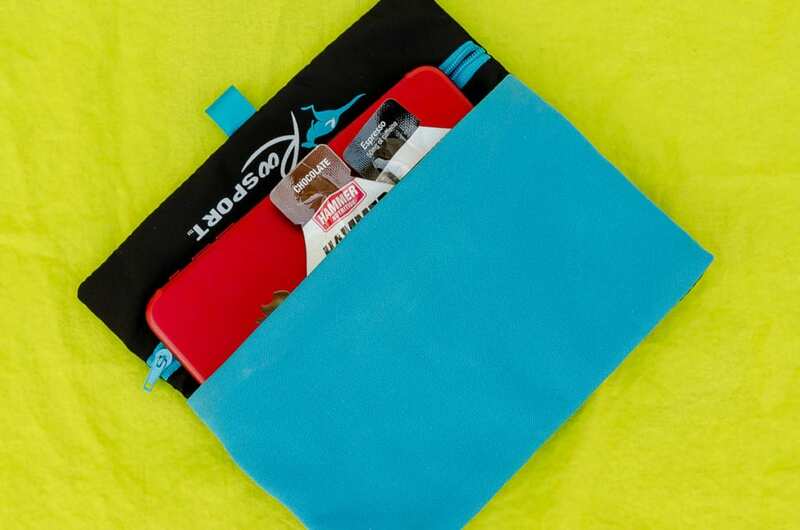 The signature model 2.0, which is the smaller pouch, holds a standard sized phone, four gels and has space to spare for chews or whatever other little items you want to add. This works perfectly for me if I want to add it to the belt that holds my water bottle on a long run. You can separate your phone and your gels or snacks between the two main storage areas. 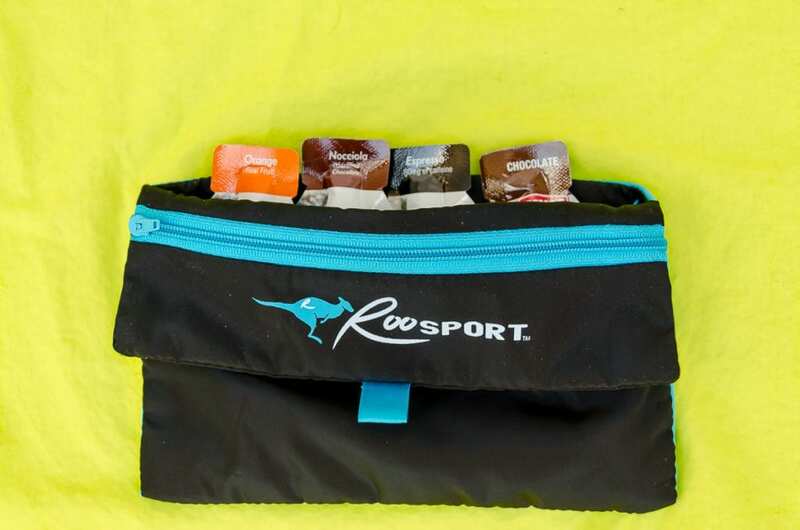 The larger RooSport Plus will easily hold six standard size gel packets without the need to squish them to fit. You can see there is still plenty of space at the side. I didn't have six gels to fill it up for a photo. A close-up view of the large, non zippered storage section. Quality matters to me. The assembly, stitching and thought that went into the design of these great accessories is outstanding. Construction with great quality material is finished to a high standard. There is a flat, but incredibly strong, magnet sealed into the fabric on the flap and the main part of the pouch. You simply pull on the little ribbon tab to release and to close it. Actually, you just flip the to flap over and it does the rest. Mind your fingers though! Worried about it sliding or coming loose? Don't. This pouch does not budge. The magnet won't hurt your cell phone or credit cards, but hotel room cards might need a quick reset. The magnet attaches over all kinds of material including jeans. This is really nice, because unlike a belt, it doesn't add 360 degree bulk. The small compartment with the zipper on the outside is great for storing a key and your little chews or any small items t. Also, if you have a good old traditional metal key, the back of the magnet seems to draw it against the flap so that it doesn't move around. 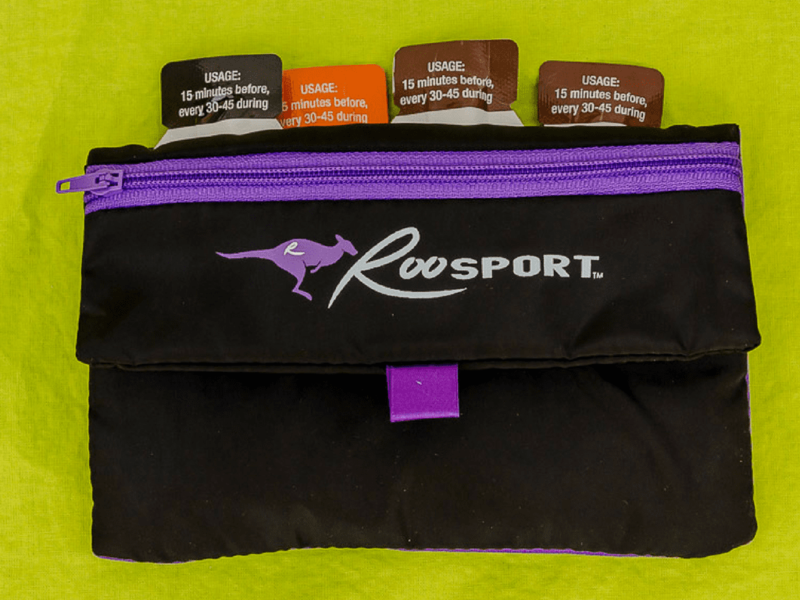 Unlike the running belts I am used to using, the RooSport is worn so that the main storage part of the pouch is inside your clothing. It sits nice and flush against your skin and the soft, breathable fabric is non irritating to soft skin. It is very comfortable and there is no way your phone can fall out of the pouch. You can wear it on the front, back or side, depending what is most comfortable and convenient for you. There's nothing to it, really. 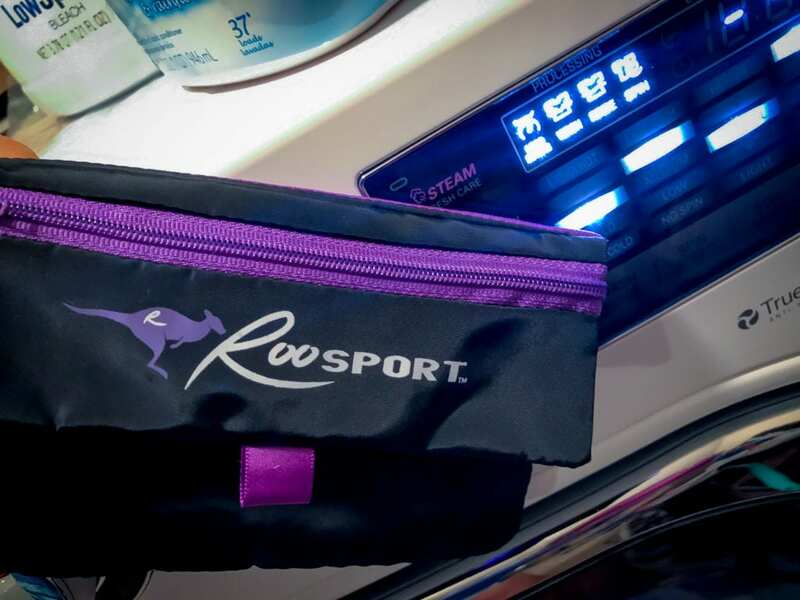 You can throw your RooSport into a warm or cold wash and take it out to air dry. I open up the pouches, wipe them with a towel and slap it with the magnet against the side of the washing machine. It dries really quickly like this. If you're not a stinky little sweater like me, you could get away with just giving it a wipe with a damp cloth between washes. Mine needs a wash every day though and it comes out as good as new every time. There aren't really any drawbacks to RooSport. It packs a lot of features into a well made, compact space and there are only a couple of things to consider, neither of which were drawbacks for me. Stick it on the side of the fridge with the strong magnet, ready to grab and go when you set out. You won't be able to carry a water bottle in here, but that's kind of obvious when you look at it and not the purpose for which it was designed. It is not completely waterproof, but a ziploc bag does the trick for a phone. 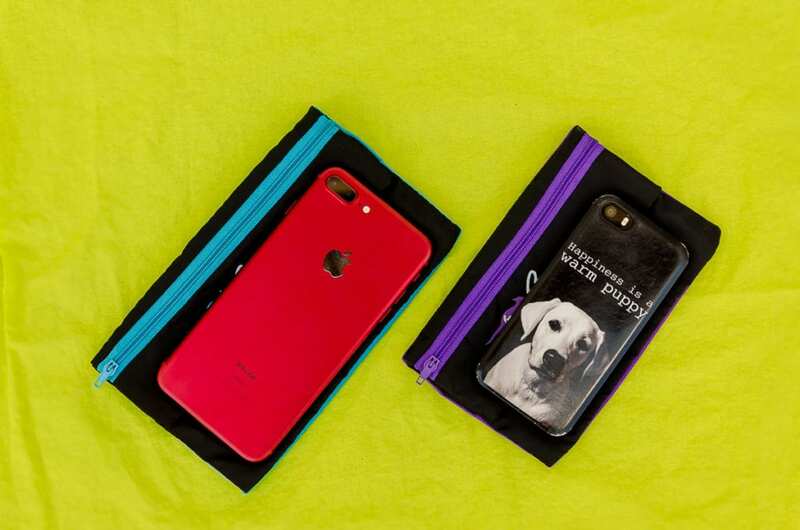 Plastic pouches for your phone are also available on the website as an accessory. I always say that a product is only as good as the service that backs it. Customer service is a very big deal to me and can ultimately be the make or break point. My tendency is to gravitate towards smaller companies because they generally excel more in the service department. There is a higher level of personal interest invested into what they do. I also prefer, if possible, to stay with products that are locally manufactured. RooSport scores highly all round in this department. Brenda Bundage, a runner and the founder of RooSport is out and about with her husband, attending expos, talking to people and responding to messages. If you like personal service you won't be disappointed. I had some questions before I ordered. I'm a hard sell and and don't have any shred of impulsive buying in my nature. Needless to say, I sent several messages before ordering my RooSport and received a warm, friendly and personal response every time. 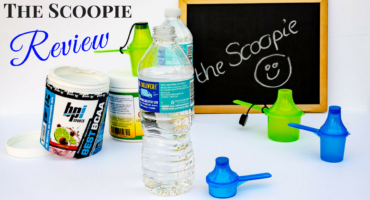 RooSport is also locally made and each little pouch sports a Made In The USA label inside. You can order RooSport directly from the website. If you sign up to the newsletter you will also get a heads up whenever there is a special offer, new product or a discount code. If you think this might work for you, it's worth a visit! My views are my own and based on my experience. I purchased my Roosport items of my own free will and was not asked to test, review them or told what to write. I like to review things that I love and use. 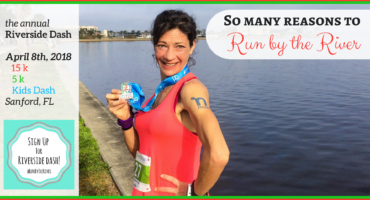 If they are helpful to me and make my running life easier, I like to share my experience. You also won't see me post a review a day or two after trying something new. A thorough testing in varied conditions and circumstances is, in my view, the best way to give an honest and fair overview. Great review. 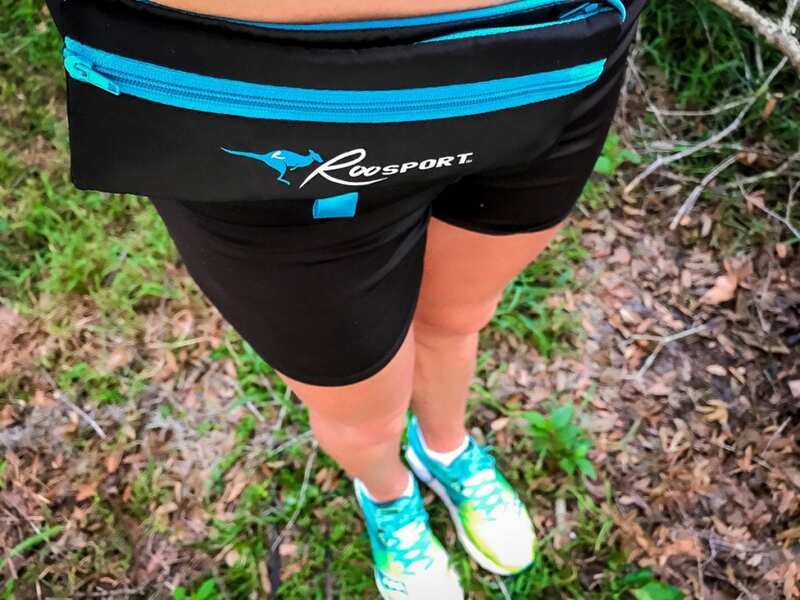 I wear relatively lose fitting running shorts so I wonder how the ROO would work those? Richard, just getting back to this one. 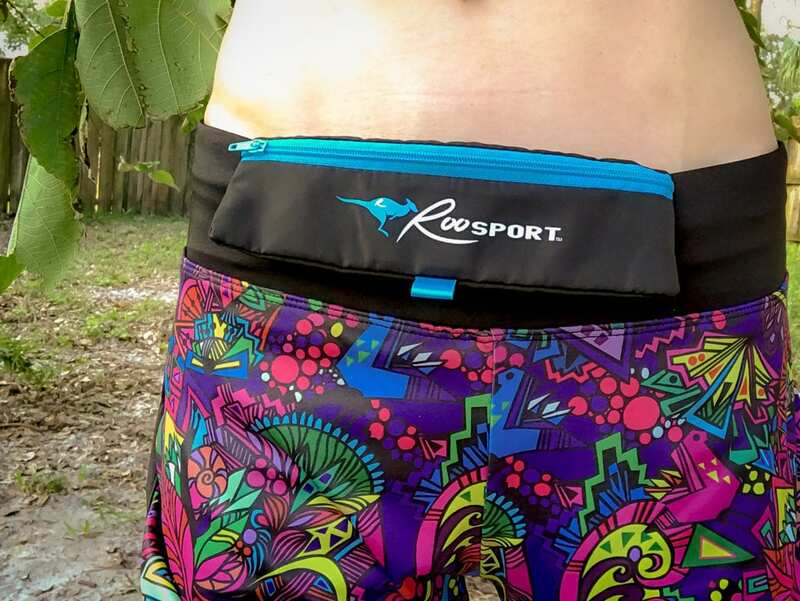 When I need to carry water or more things (20 milers, marathons and all those things) I slip the RooSport onto my waist band and then put whatever other belt I might need over the top. 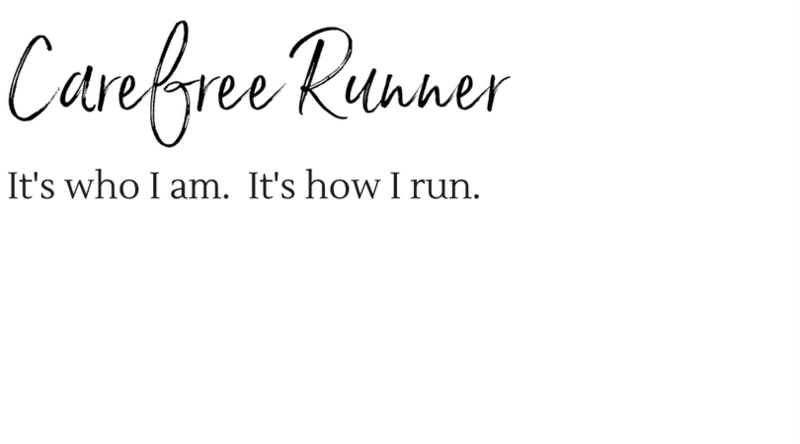 But for shorter runs I love the freedom of just the little pocket with nothing to tug up and down around my hips. I tend to wear fitted waist shorts and although it takes half a minute to settle into position, once it’s there, it stays. My phone is one of the plus sized ones. I did a test run with the smaller ‘standard’ size phone and it didn’t budge.